Access to the BW Netweaver BW Application server date and time system fields in the SYST table is useful. Especially when automating data processing in Process Chains and Transformations. The SY-DATUM field is the current application server date. For Example: 19991231, 20080631, 20140317 and 20190723. The SY-UZEIT field is the current application server time. For Example: 020000, 083000, 115959, and 200000. 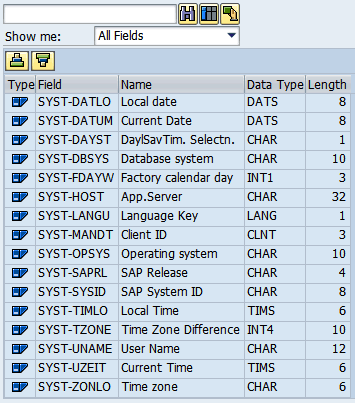 You should have access to all four SYST date and time fields: DATUM, UZEIT, DATLO and TIMLO. Implement this interface method to enable access to the SYST-UZEIT system field in the BW Formula Builder. * This is part of a Classic BAdI implementation (Transaction SE19). c_fld_type type sfbetype    value 'SYST-UZEIT'. * Are we building the list of categories? *   Is the category already in the category list? with key tech_name = c_cat_tech. *     No ... Add the category to the category list. * Are we building the list of fields in the category? *   Is the field already in the category? with key tech_name = c_fld_tech. *     No ... Add the field to the category. Further Reading: Transformation Library and Formula Builder. Create Business Add-In (BAdI) to call the new class interface. 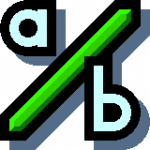 Further Reading: BAdI for Customer-Defined Functions in the Formula Builder.